SickDrummer is pleased to unveil GRUESOME drummer Gus Rios’ bludgeoning playthrough video for the track “A Waste Of Life.” The tune comes by way of the band’s Twisted Prayers full-length, released last week via Relapse Records. Watch the clip, courtesy of SickDrummer at THIS LOCATION. Stream Twisted Prayers in full at THIS LOCATION. View the band’s previously released NSFW video for “Fatal Illusions” as well as the Jeffrey Sisson-directed video for “Inhumane” and lyric video for “A Waste Of Life” below. 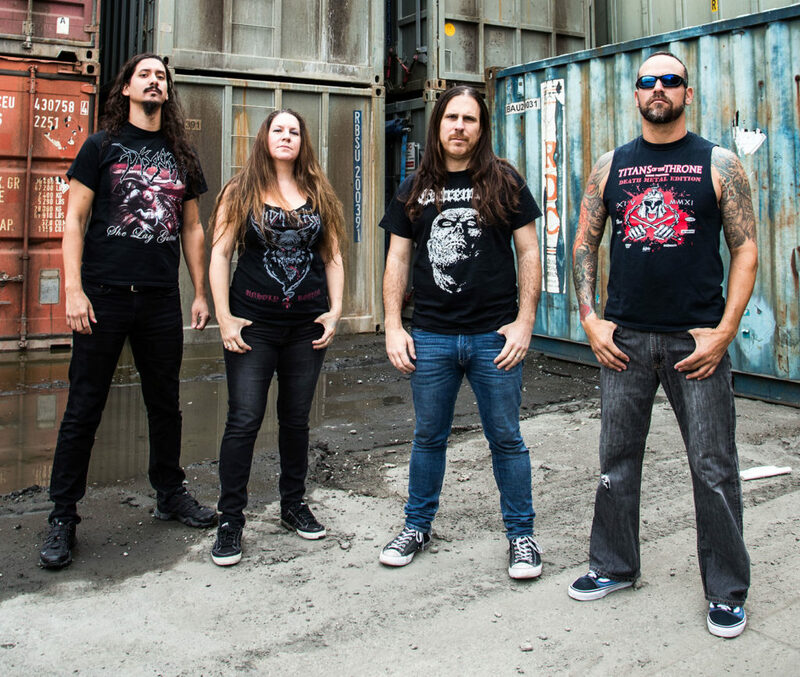 GRUESOME features current and former members of Exhumed, Possessed, Malevolent Creation, and more. 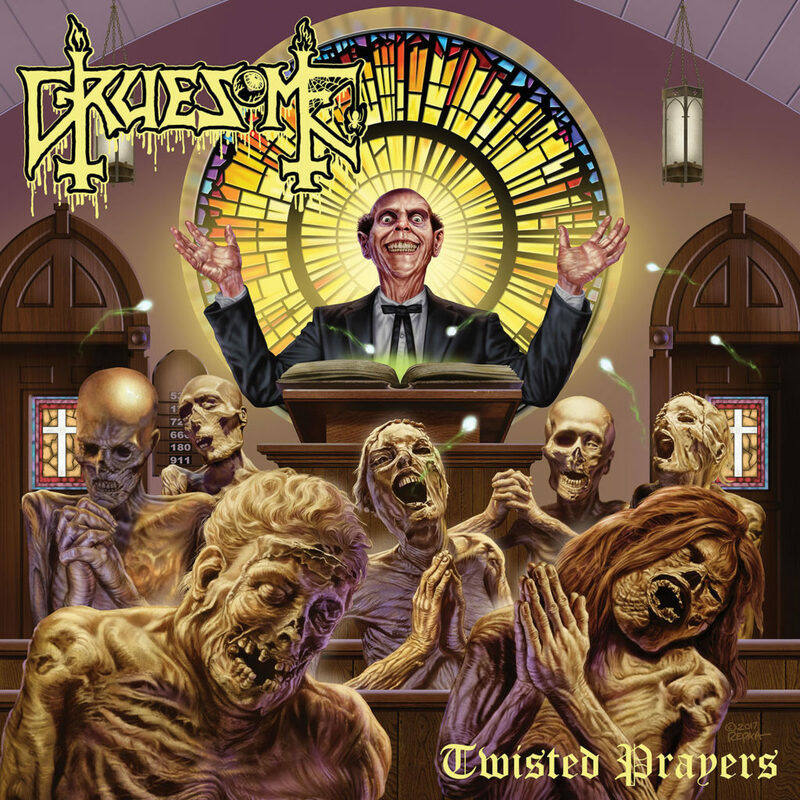 Their second full-length, Twisted Prayers, follows Death’s paradigm shift during the Spiritual Healing era, incorporating more cerebral, melodic instrumentation with elements of thrash and thought-provoking, socially conscious lyrics. Recorded at New Constellation Studios in Orlando, Florida with producer Jarrett Pritchard (Exhumed, 1349, Goatwhore, Wolvhammer), Twisted Prayers features over forty minutes of unholy hymns with lurid melodies and vulgar atmospheres. The band has once again teamed up with the legendary artist Ed Repka (Death, Atheist, Massacre) for the album’s blasphemous cover art in addition to legendary Death guitarist James Murphy (Death, Obituary, Testament) for a pair of special guest guitar solos. Bow your heads and worship at the altar of GRUESOME! 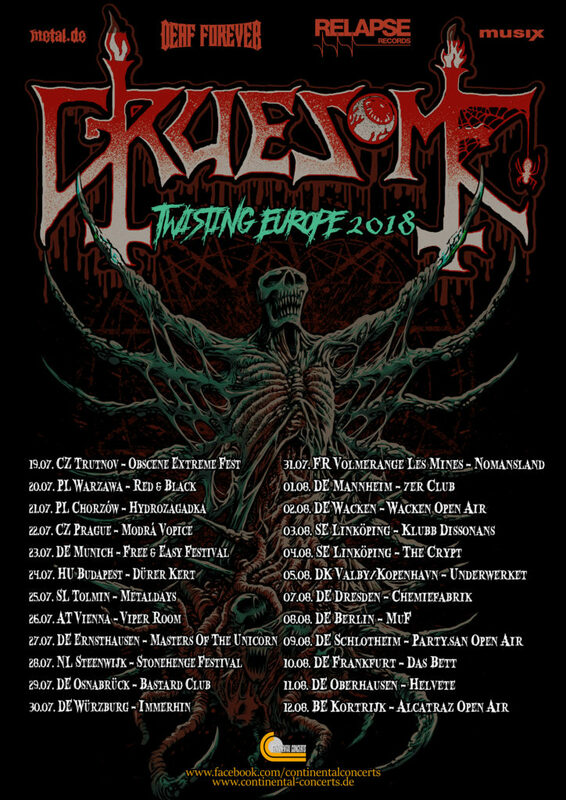 GRUESOME will play two exclusive shows in Florida with labelmates Exhumed before kicking off a European headlining tour next month. Beginning July 19th, the trek will travel through two dozen cities and includes appearances at Obscene Extreme 2018, Wacken Open Air, Partysan Open Air and more. See all confirmed dates below.